Happy Monday! Today I want to feature a color that has been on my lemmings list since I "found" nail polish last August. 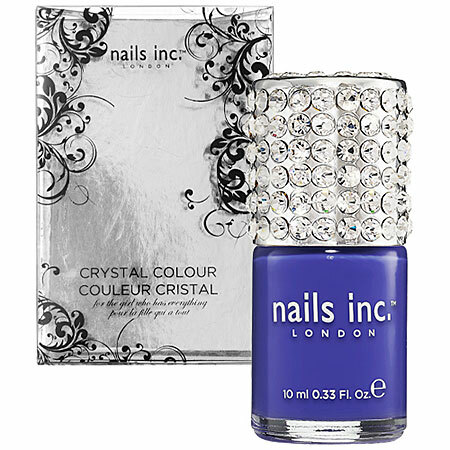 This is 'Baker Street' by Nails Inc. How gorgeous is this color? I bought this about a month ago, cut my hand the next day, and had to look at the bottle for 3 weeks before applying it. It was worth the wait! It's also available in the blinged-cap version for an additional $10, which even I didn't see was worth it. 'Baker Street' is available in the US through Sephora and retails for $9.50. It's a gorgeous color and has an amazing formula, practically applies itself. I am linking up with the Heathers over on Glitter & Gloss and Just Love.ly Things for Mani Monday, stop by to see the other manicures! It'll make a boring, awful Monday more tolerable, trust me!